The history of racism is very long and the conflict between ‘’White’’ and ‘’Black’’ is still prevailing in today’s modern world. The existence of racism in the advertisement is also same as the history of racism. Still most popular and also the non-popular brands advertise their products with the bitter flavor of racism. Sometimes it directly indicates racist perspective and sometimes it provides a silent message. They termed it as ‘’unintentionally’’ done. There are two kinds of aspects as to advertisement. First is racism in advertisement and second is advertising racism. Generally, the superiority of one race over other that results in prejudice or discrimination towards people based on their race or ethnic identity are called racism. Racism includes subdivisions of humans into distinct groups that are different to their social behavior as well as ranks with inferiority or superiority. Advertising is the lifeblood of the mass media. It is a one-hundred-billion-dollar industry per year which affects our lives as being a most powerful educational force in the society. The ads sell not only their products but also values, concepts, ideas, doctrines and so on. It also defines us what we are and what we should be. Racism in advertisement has a long history and the worst thing is that it is still being written. The advertisement has always had a racial dimension from the day of slavery. Institutionalized racism has been a part of multicultural marketing since the 19th century. So, there always been an attempt to show racist advertisement as a part of multicultural marketing. To utter the examples of racist advertisements, many renowned brands come to the fore. Sony, Intel, KFC, Dove, Shea Moisture, L’Oreal Paris, Burger King, Pepsi, Nivea had made those advertisements which represented the racist ideology. Some of them had used their flavor of racism in the ad for more than one time. It is the matter of regret that the mass people are used to buy these products being influenced by racism. Though the advertisement of Dove clearly showed the racism, they claimed that was a mistake and made an easy solution. The recent advertisement of Dove showed a black woman frequently turned into a white woman after using a beauty brand’s body lotion. That advert highlighted that former women were “dirty” and later was “clean” by the use of that beauty lotion. This is not the only racist ad made by Dove. Another ad of Dove also showed that before and after use of Dove lotion in which a black woman turned into a white woman. Without this, there was numerous racist slogan used by different brands like, “White is purity”,” Coolest Monkey in the Jungle”, “White is Beauty”, “Yes White Can”, “Dark = Dirty” etc. all are burning examples. There is a long tradition of many advertising industries who present whiteness as a trope for communities of color to aspire. Beauty Whitewash is a term that is used in advertising industry which defines skin and hair color as the form of beauty. It is a technique used by the advertiser to show the person artificially whiter than the original appearance to attract and target specific demographic. The question raises, is not there exist the attempt to show white as the determinant of beauty? For example, the ads for skin whitening cream, beauty lotion, and soap always try to convince people to present whiteness as beauty. In the term “Eurocentric Beauty Standards” where there always remains an attempt to show the white people as the beautiful and African, Asian or non-white have to use those skin whitening soap, lotion products to be beautiful as the white. Such kinds of racist acts have long lasting effects on society. The black community feels as offensive because of the ideas that make the mockery of the Black race. Besides, most of the Black, African and Asian children grow up with this concept that having dark skin will make them inferior in the society. Similarly, white and attractive figured women are encouraged for job application in various companies especially they are used in help desk of the office. White and attractive young women are frequently used in various show rooms or shopping malls to attract and cast the customers. The question raises, why most popular brands did such kinds of mean jobs? Is it to attract the people’s attention or to earn more money by selling more of their products to a particular community or else to make everyone follow the west and be like them? 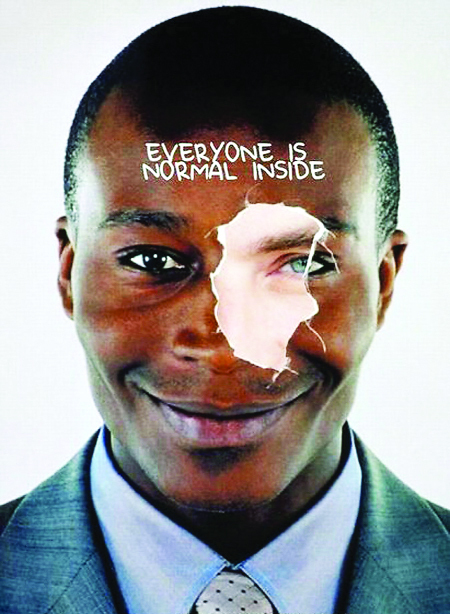 B.
Racism in advertisement made to catch the customers has been discussed above. Beside, some advertisements are made to promote racism in the society. One vivid example is the ‘Miss World Competition’ which has long been arranged to promote the racism in the name of ‘Miss World’. In this case, women are strikingly used in the advertisement of competition to promote racism among the people. Both subject (competition) and element of means (advertisement) are racist in nature. Racism in the advertisement is not only unethical but also offensive. It is needed to believe people that every race has its own respect and superiority. Disrespecting other race is equal to the humiliating own race. The purpose of advertisement should make the world better for the future generation rather make conflict among them. The writer is an undergraduate student of the University of Dhaka.